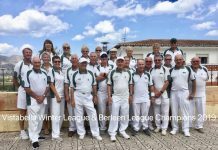 for a two day competition, which was held on the 1st and 2nd of November, and, very kindly sponsored by Salvador from Vives Pons Classic and Maria Morawiec of Dragon Insurance. 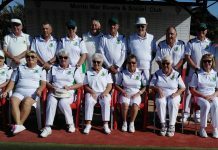 Many thanks must also go to the organisers, all those that took part and well done and to the caterers who fed and watered everyone. 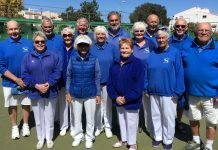 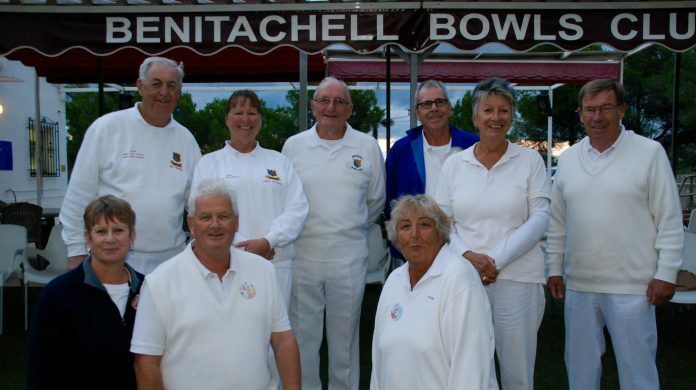 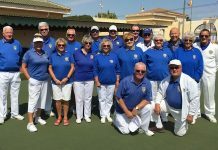 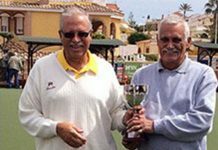 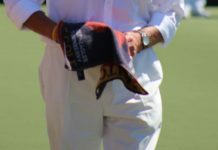 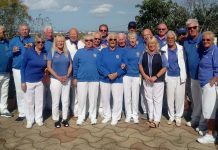 The weather was chilly and wet at times but the 78 bowlers played with enthusiasm during the whole competition, with plenty of spectators cheering them on – each team of 3 playing 8 end triples, with 6 games over the two days. 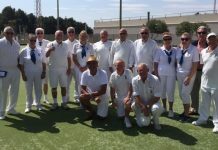 4 teams ended up with 10 points with shot difference deciding the out come. 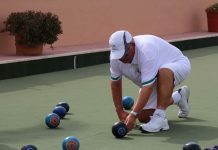 In 4th place were Richard and Jinty Chamberlain with Noel Ovenall. 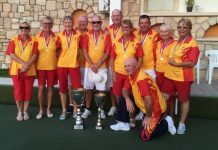 3rd place (top right of the photo) Bob Bailey, John Ranger and Pam Coombe from BBC. 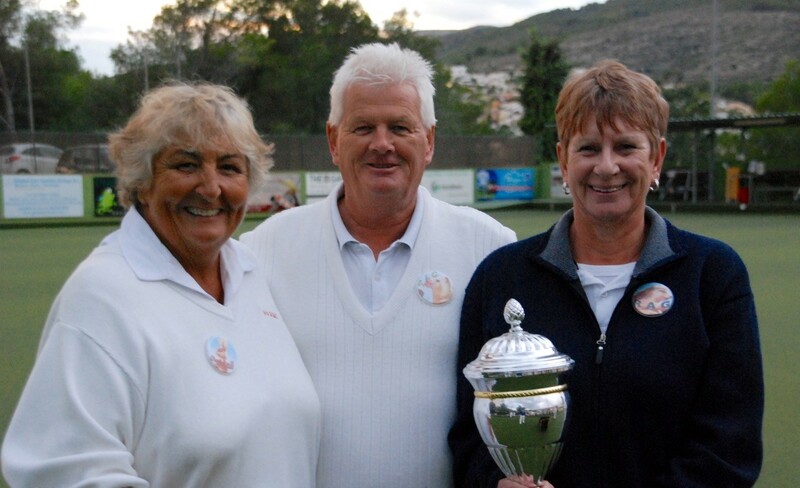 2nd place (top left of the photo) were Jeff and Linda Richards and Mick Adams also from BBC. 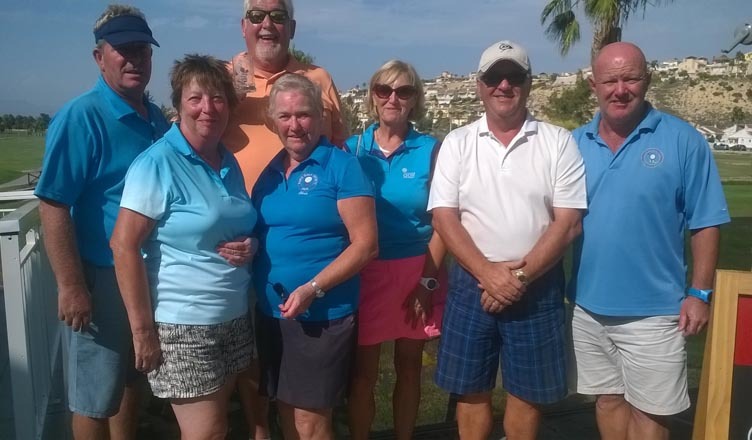 The winners (in the front) were Lynn and Derek Eldon (left) from Javea Green and Maggie Lawley from BBC.